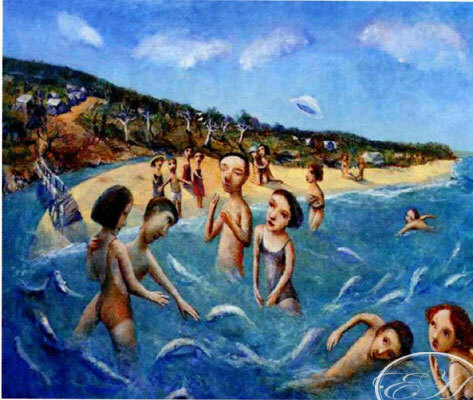 Garry Shead requires no introduction; Garry Shead is highly regarded blue chip Australian artist that has become a bench mark in the Australian Art world. Garry Shead has gained the respect and admiration of art lovers as well as serious investors, he is grounded and has a loyal affection to the beauty of life and the every day people, and put simply the brush says it all. Epiphany the Oil Painting was sold in March 2005 for $219,000, the original Epiphany Etching has since sold out, with the exception of a couple Etching House has in its private collection.